Thank you Brandon for including me in this amazing group of stylish ladies – I continue to be impressed with & grateful for all that Lucky is doing for the blogging community. If you haven’t already, go pick up your copy today! LOVE this!! So incredibly happy and excited for you!! welcome to the club! =) now all we need to do is get featured together in lucky mag!!! =) congrats girl! Congrats girl – you totally deserve it! Congrats!! I'll have to check out Lucky. It's been a few years since I picked one up. Congrats!!! So happy for you! I love the outfit they chose too! I am so happy Lucky is sharing all of these amazing bloggers! Congrats on another fabulous magazine feature, girl! That is awesome! You deserve it- you are an inspiration! Love your blog! Congrats!! Wow, congratulations! You look great, I'll have to go out and buy an issue! 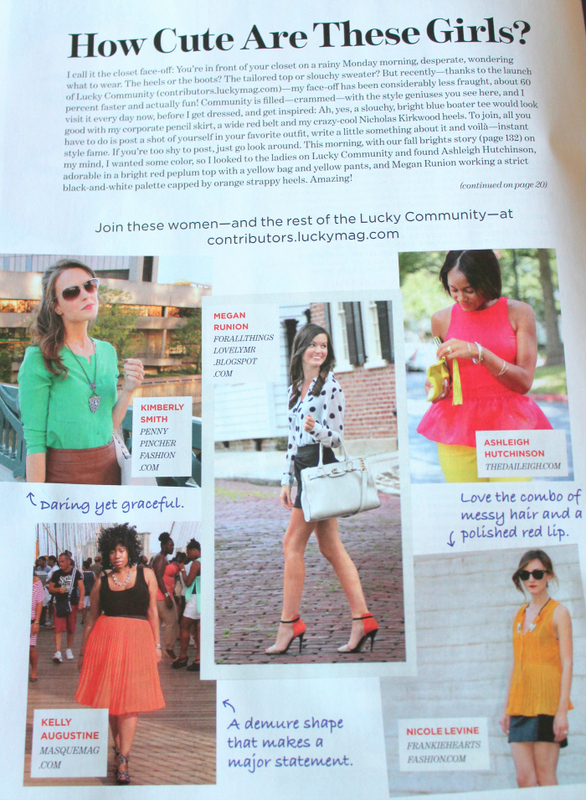 I saw the article on Lucky and thought your blog virtual address was very catchy! I've been reading your posts and let me tell you: I love your blog! 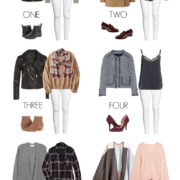 I really appreciate you sharing fashion tips for those who, like me, cannot spend a fortune. Keep up the great job!!! 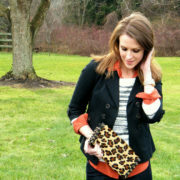 Finally a great blog with affordable fashion! Love it!!! Ahh I was so excited to see you in my copy I got in the mail last week! Yay PPF! This is so exciting! You have such great taste, I'm glad they picked you! So happy for you! Congratulations girl! 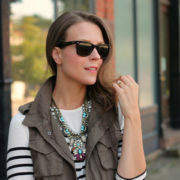 I saw your picture in Lucky and got immediate necklace envy 🙂 I look forward to checking out your blog regularly for fashion tips! I saw you in Lucly and had immediate necklace envy 🙂 I am excited to read your blog regularly for fashion tips! Wow Kim what an HONOR to be feature! CONGRATS Kim!! That is great news that you got featured! CONGRATS lady, you do fabulous things, and deserve the recognition! I saw this the other day. You all look fabulous!! I should be getting my copy in the mail soon. Congrats! This is great! Congratulations! Did you ever think you would be gracing the pages of magazines? God is good!